Johanna Uurasjarvi is the type of woman who oozes cool: tall, fashion-forward, Scandinavian, and über-creative. 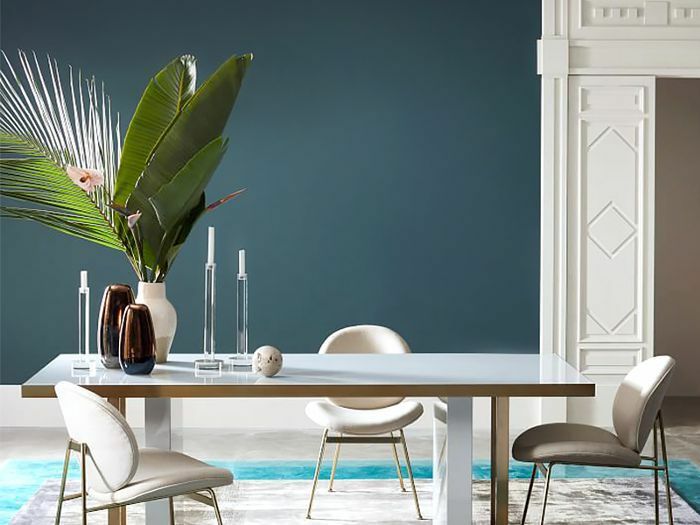 As head of the creative department at West Elm, she leads everything from product design, artist collaborations, and the artistic direction of the brand's retail, catalog, and online channels. In other words, if we've been wanting to buy everything from beds and rugs to cool new lighting trends from West Elm recently, it's thanks to her. This made us wonder—between all the new lines, collaborations, and trendy pieces that the brand has launched in recent months, Uurasjarvi must have a few favorites. So many products come across her desk every day, but which ones really caught her eye: Was it a set of dishware, a modern chandelier, or a brass West Elm bed? So we took it upon ourselves to ask. These are the 10 West Elm products its creative director would keep for herself (if she could). "I bought these the minute they became available. 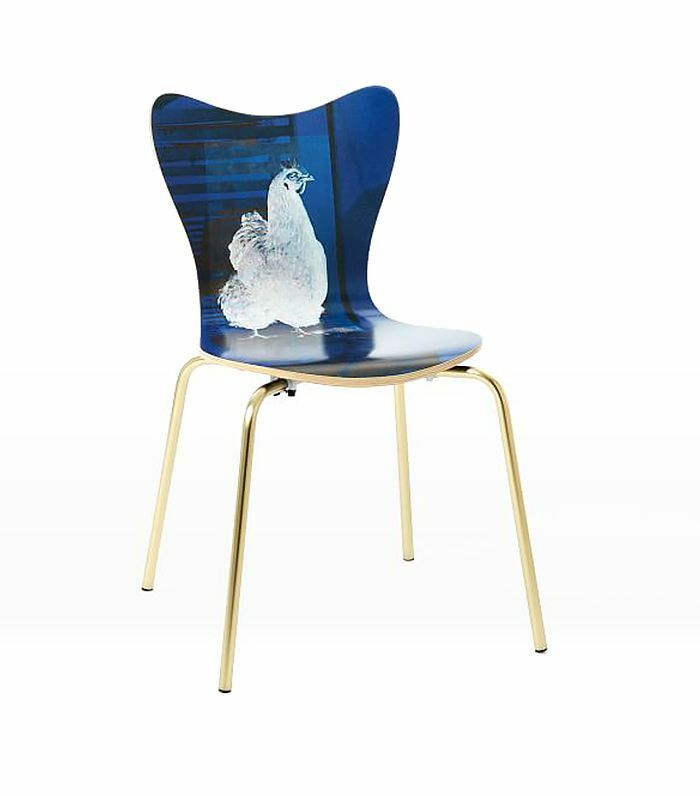 I am a huge fan of Robert Rauschenberg, and these stacking scoop chairs from our collaboration with his foundation are just delightful; they're a piece of art and function for the home. Plus I love that 10% of the purchase price goes back to supporting the foundation's grants in the arts!" 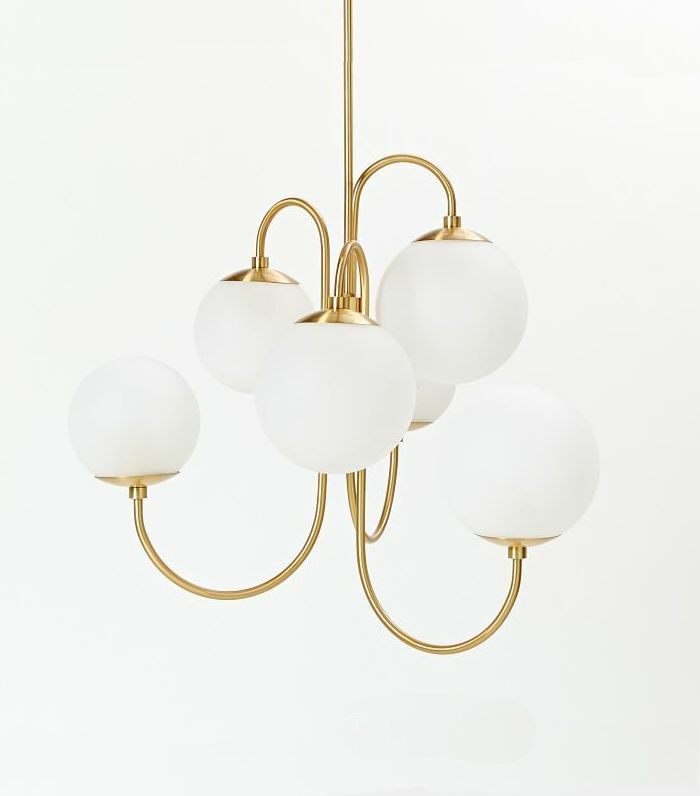 "I have the Pelle Chandelier in my studio. I like the modern meets Old World feel, and it works beautifully with the ceiling medallion." 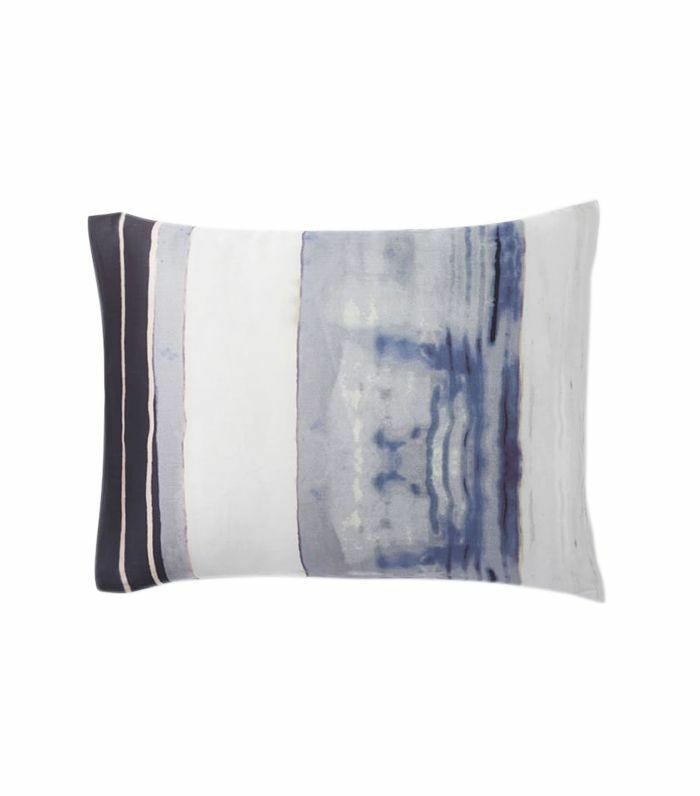 "The print on this bedding is like a piece of art, and the Tencel fabric is deliciously soft; it's made from sustainable eucalyptus fibers and prized for its silky softness and cool-to-the-touch feel. It's simply dreamy." 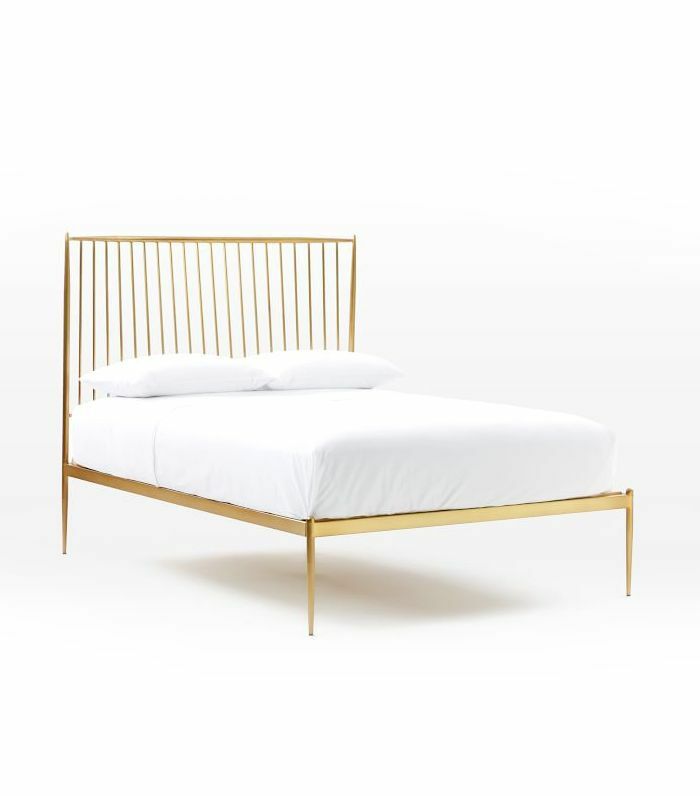 "I love the light, slender form and brass finish of the Stella Bed. My bedroom is fairly small, so it makes a striking statement without overwhelming the room." 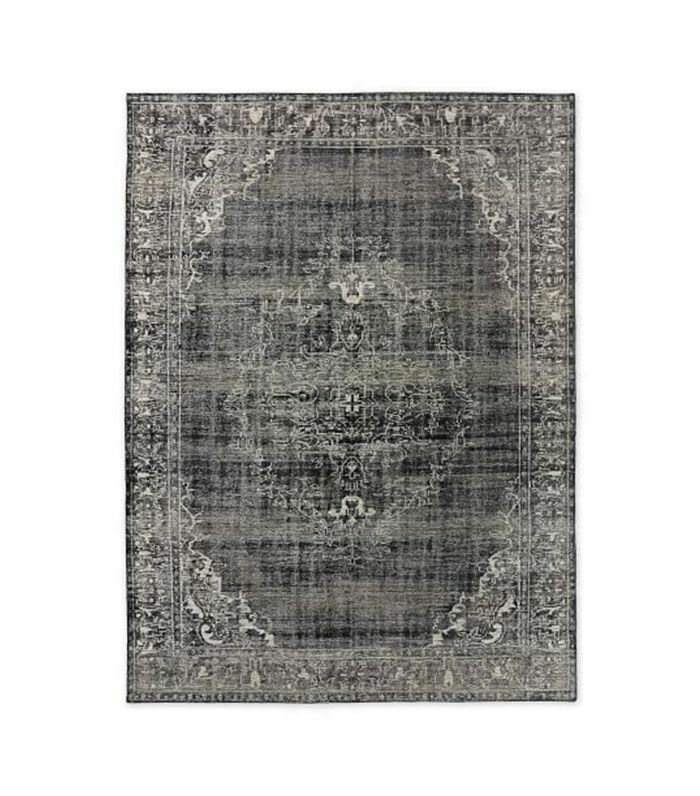 "These are an artful, modern take on the traditional Caspian rug. Each one is hand-knotted by artisans in India and takes weeks to complete They are made of a really fine yet durable wool. I am planning to buy one, but I just can't decide on which color!" "These are my everyday dishes. I have big stacks of them. 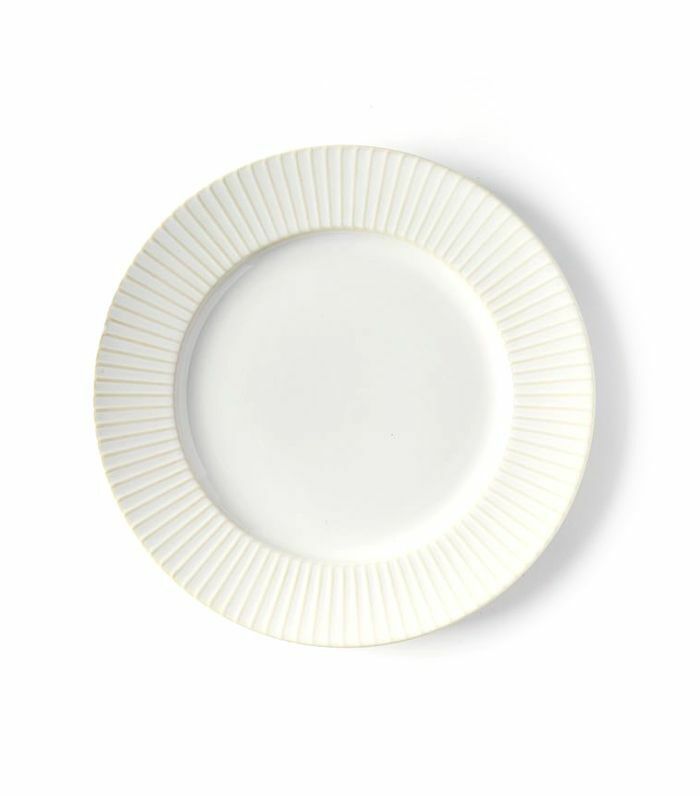 They are simple in all white yet interesting with their mix of textures, making it easy to set any type of table." "This dresser is such a treasure. It is a piece of jewelry for the room, and I use it to store my jewelry and accessories!" "I just ordered these new Jane dining chairs. When we designed them, I have to confess, I had my own dining room in mind. 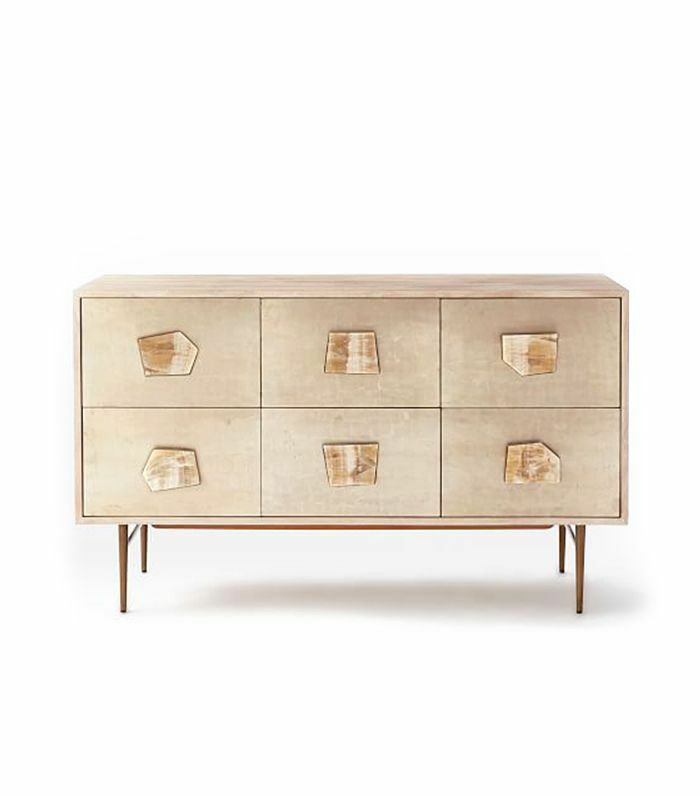 I love the playful look of the rounded shape combined with chic brass legs." 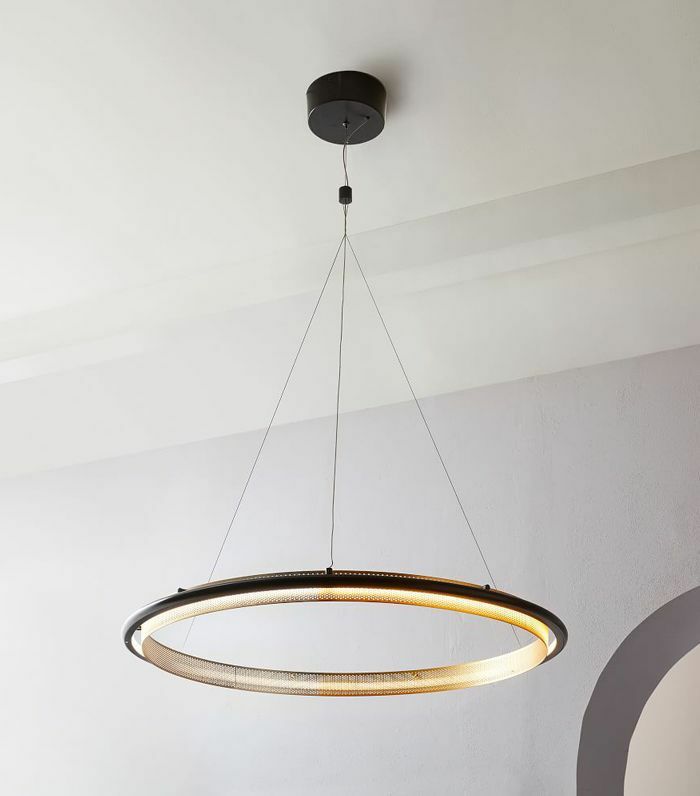 West Elm lighting always tends to provide style at great value, but this LED hoop chandelier takes the cake. We love the perforated metal hoop and can imagine fitting in just fine above a round dining table. 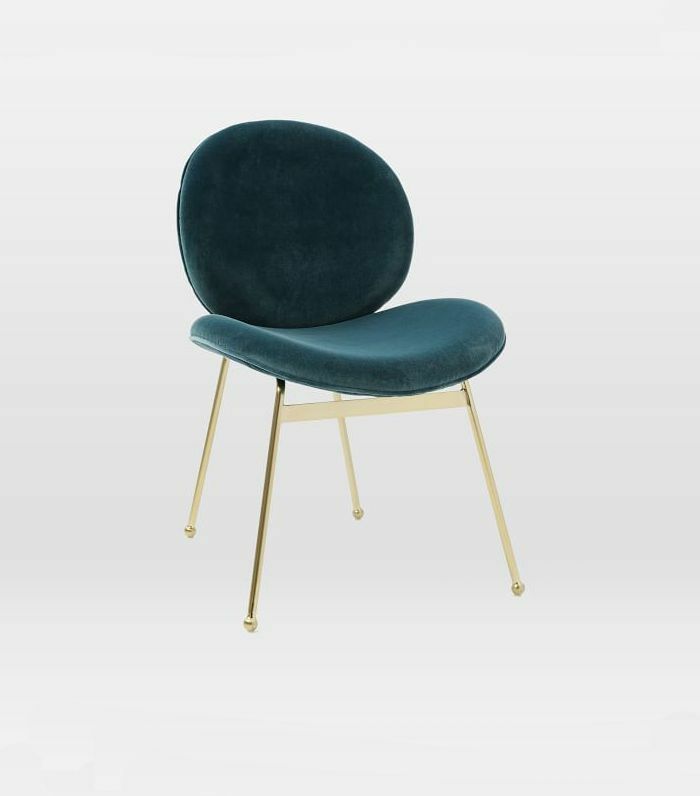 This tete-a-tete chair is a renter's dream. 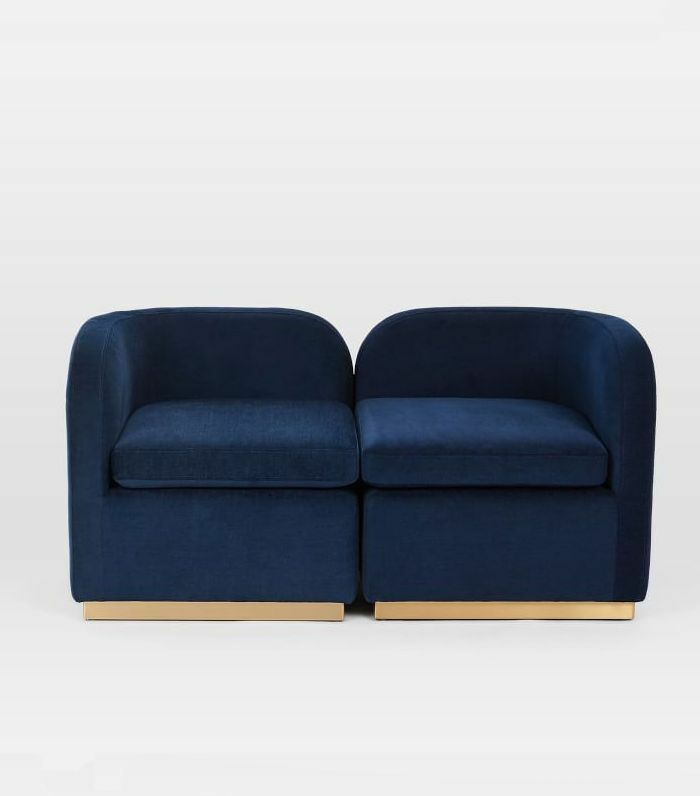 Purchase two and they make a fantastic loveseat, but they can be reconfigured easily once you move. Next up: West Elm has spoken—these five trends will blow up this summer. This story was originally published on May 18, 2017, and has since been updated.